Please celebrate 20 years of online sales with us! 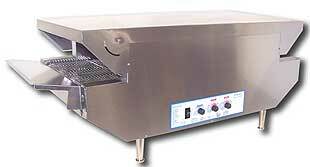 We’ve been processing and shipping online orders for foodservice equipment since we launched online in 1998. With almost no exceptions, we have processed orders every single day and shipped every product requested by our customers since we began 20 years ago. It has been quite an adventure in sales and customer service, and we’ve seen a lot and made it through many challenges – including dot-com crashes, recessions, and countless changes in our industry. Smartphones? Forget about it – most of us did not even have a cell phone. If you did have a mobile phone, it certainly did not have a camera! Amazon mainly sold books and music, and was just starting to expand into other products. Netscape was the most popular web browser, and Microsoft Internet Explorer was trying to change that. Anything with a .com was worth like a gagillion dollars on the stock market. But, there was no Facebook or Twitter, so you could not tweet about it. googol – a number to represent a huge quantity. Nobody Googled yet. People searched for things on InfoSeek, Lycos, AltaVista, and other strange sounding search engines. The cost of a gallon of gas overaged $1.15/gallon, a postage stamp was 32 cents, and the average cost of a new house was $129,000. My, how things change, but some things stay the same. Like every year prior, we are happy and excited to be approaching another wonderful holiday shopping and shipping season with you, and we are looking forward to serving you for many years to come. One dish that will never go out of style is pizza. People want it for everything—lunch and dinner, parties, business meetings and sporting social events. They don’t seem to be able to get enough. To keep up with the demand for freshly baked pizza, a restaurant needs the right equipment. We at ABestKitchen have been selling pizza gear online for over 20 years. Today, let’s talk about the Bakers Pride pizza ovens. 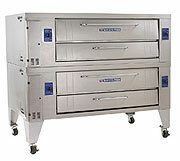 The Bakers Pride Deck Commercial Pizza Ovens are a common fixture at pizza shops. If you are paying attention, you’ll often spot the old, well-worn Bakers Pride ovens that have been in use for decades. After many years of use, these ovens still look great, work well, and show a lot of character. For options, these deck ovens are standard with Cordierite stone decks and can also be ordered with steel decks. They can be powered by electric or fueled by natural gas. Liquid propane heat, which can be more economical than regular gas or electric ovens, can also be specified when ordering. These ovens can be stacked to create double-deckers, triple deckers, and can even be stacked to provide four ovens. They are made of heavy-gauge stainless steel, and come in 120000 and 240000 BTUH models, with the option of the gas supply being attached to the rear or the side. The frames are welded iron; the exteriors are stainless steel, and insulated up to five inches for cooler external temperatures and constant temperatures inside. Safety features allow the operator complete control of the oven, with top and bottom heat control dampers and micro slides for perfect balance of temperature. The cooking temperature ranges from 300 to 650 degrees, and the oven has an eight inch interior deck. For restaurants with a publicly viewed kitchen, there are display models available that can help create an old-fashioned, classic look in your pizza kitchen. 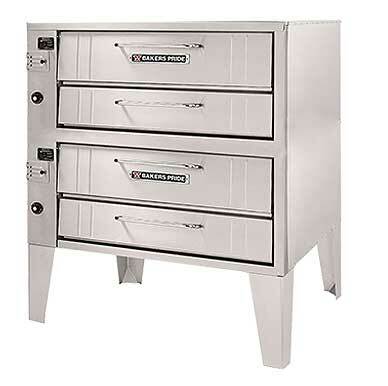 Bakers Pride has been manufacturing ovens since 1945, and some of the original Y-602 models are still in use. Their ovens are standards in the food preparation business, and bear a well-deserved reputation and popularity. Shipping by truck is free in the Continental US, and please feel free to contact us to arrange the most affordable delivery of your next pizza oven. 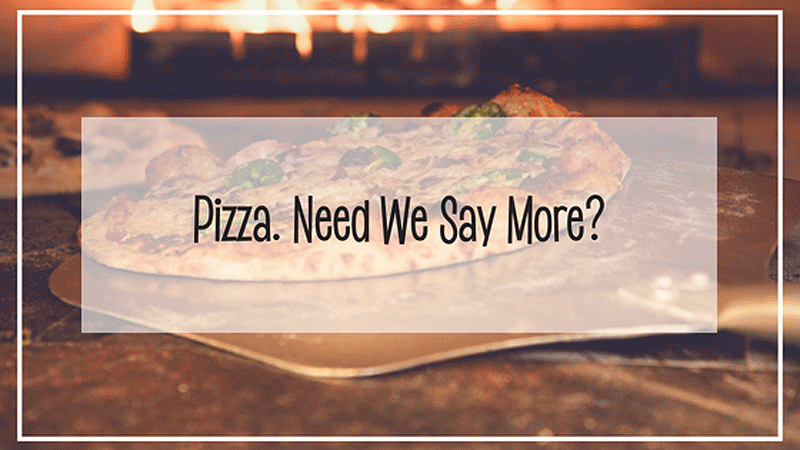 We love pizza, and we’re here to help! You might be familiar with the adage, ‘An ounce of prevention is worth a pound of cure.’ A bit of foresight can save you all manner of grief further along. It is a principle we all practice, although not always as carefully as we might. We look before crossing the street; we take vitamins and are careful of our diets. In our commercial kitchens we are careful with cleanliness, we anticipate our customers’ appetites, we think ahead and shop ahead so that we’re ready for the next season and shift in customer tastes. Attention to the small details is important. Water can seem like a small detail, and we don’t think much about it. It’s used for everything from steamers and dishwashing to ice-making, brewing coffee or tea, and drinking water. A variety of studies have described a long list of contaminants found in US drinking water. For the drinking water, at least, restauranteurs often take the step of filtering their tap water to remove the undesirable ‘menu’ of chemicals. The canny restaurateur, however, realizes that if the water you are serving customers is an issue, the water you use in your kitchen is an issue too. The water in which you steam your vegetables or with which you wash your dishes leaves behind mineral traces as well as chemical residue. Over time, the minerals build up, reducing the efficiency of a machine, if not disabling it altogether. Demineralization and decontamination of devices is expensive, time-consuming, and often requires as much ‘cleaning up’ as the cleaning of the machine did in the first place. These processes usually involve noxious chemicals—nothing you want to risk getting in your food and drink—and disassembling/reassembling your machines. Water filtering systems are a critical investment in any food service enterprise. Filtering the water removes chemical additives and contaminants, and de-mineralizes the water. Filtering the water from the tap only addresses a small problem. The more effective solution is to filter it before it reaches your kitchen. Even the smallest EverPure system delivers high-quality water to boiler-based steamers, providing scale prevention and deliming that are crucial to the quality of water used and the longevity of the kitchen equipment. 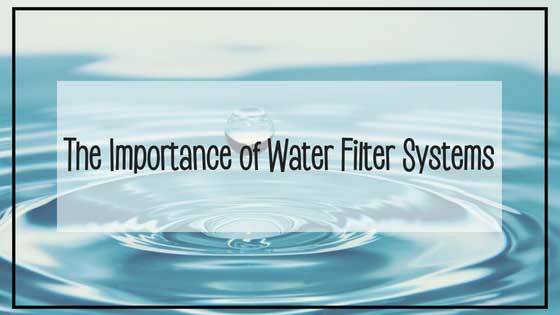 Water flows through a series of pre-filter/filters/scale inhibitors, removing harmful elements (down to the micron level) before passing on to the equipment it supplies. No chemicals are involved, there is nothing to be cleaned, and the maintenance of the system itself is simple—change the filters on a regular basis. Depending on the quality of water supplied to your area, this can mean changing the filters every 100 thousand gallons. We have a variety of sizes and capacities of systems available, and offer financing too. Shipping within the Continental US is free. The specific details are provided on the product webpages. 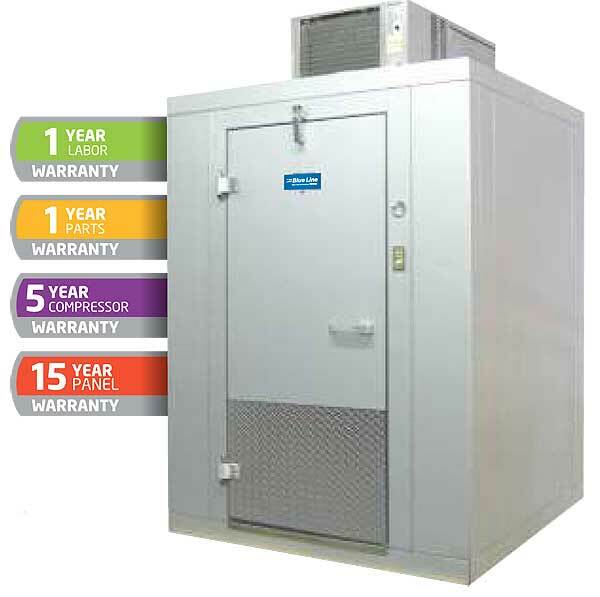 Your Everpure system will provide high-quality water and extend the life of your commercial equipment. If you are replacing a filter, you may wish to check with the manufacturer of your equipment to confirm which model filter you need. Check out our selection of commercial Water Filtration products, and feel free to contact us for help selecting the filter you need. Atosa markets itself as producing beautiful, energy efficient commercial kitchen equipment, and we agree. Their equipment has a little extra style, and although their refrigeration is quite affordable, this company stands by their products by offering a solid warranty. There are little details Atosa pays attention to, such as shipping their reach-in refrigeration units, back bar coolers and prep-tables with pre-installed casters. The doors automatically close at 90 degrees, and automatically stay put when fully open. Many models feature door locks for security and digital temperature controls for easy temperature monitoring. 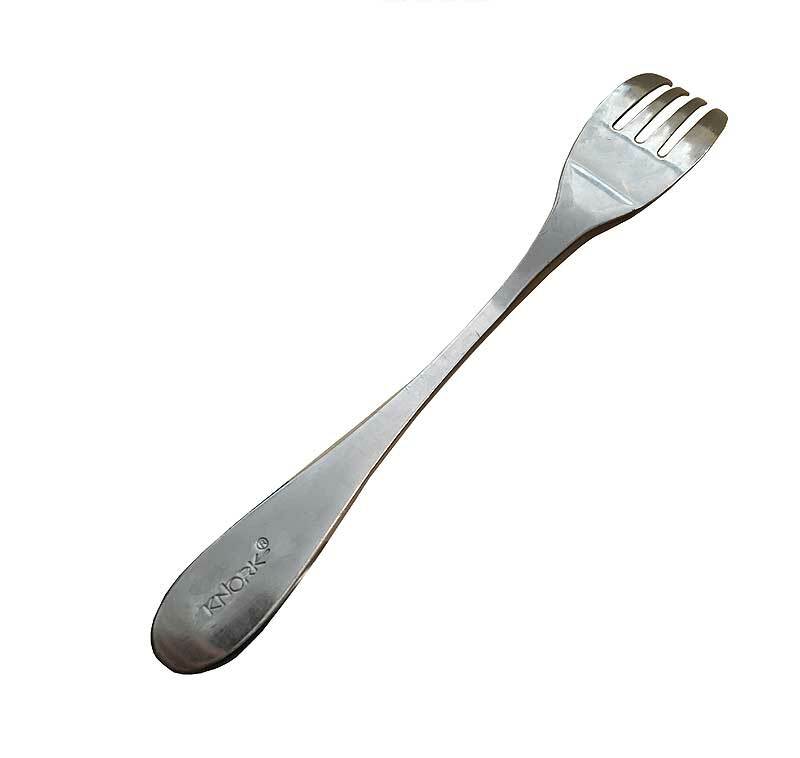 Instead of straight 90 degree angles, the front corners are rounded stainless steel. 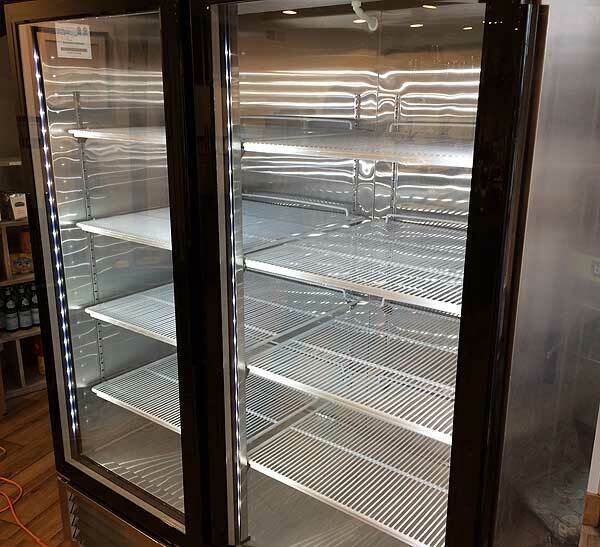 The Atosa line of merchandiser refrigerators and freezers, such as the Atosa MCF8707 Reach-In Merchandiser have a little extra something to show that Atosa really gets it. In addition to the stainless exteriors, they add a little extra black trim that catches your eye. In case the stylish trim doesn’t do the trick, there are bright, flashy, energy efficient LED lights running along the inside the door for even more bling. It all adds up to an attractive and noticeable merchandiser that attracts attention to your products. Atosa is a global company expanding their product line. For a quote on any of their products, contact us. Belleco has been acquired by Vollrath, and going forward, Belleco conveyor ovens, conveyor toasters, and other products are now manufactured by Vollrath. In the near future, all Belleco products will be branded as Vollrath. The design of the quality Belleco products will remain the same under the Vollrath brand, but new orders for these items will be branded as Vollrath. ABestKitchen will continue to offer the Belleco SKUs manufactured under the Vollrath brand, along with all the other quality cooking equipment products offered by The Vollrath Company. These SKUs include the JT-1 Toaster, the JB3-H Conveyor Toaster, the JB2-H Conveyor Oven, the MGD-18 Conveyor Pizza Oven, the JT2-B Bagel Conveyor Toaster, the JT1-BH Bagel Toaster, the JT1-H Toaster, and the Maestro Pizza Oven JPO-18, as well as all other products in the Belleco line of cooking equipment. Vollrath has been part of ABestKitchen’s product line for many years and we expect they will continue to uphold the Belleco product quality going forward. Do I Need a Hood System with Electric Cooking Equipment? We get this question a lot and our experienced team at ABestKitchen can answer almost any questions you have about commercial kitchen equipment, but this one is a bit tricky. With gas equipment, you almost always need a hood. Electric equipment can sometimes get around the requirement and make it practical to cook without a hood, but not always. Hood systems serve as the ventilation for commercial kitchens. Through a combination of ducts, filters and fans they extract heat, smoke and grease that are emitted by cooking equipment. They also incorporate fire suppression systems that extinguish fires quickly and efficiently. Because water reacts violently with grease fires, most use a sequence of chemical processes that suffocate the fire, prevent it from spreading and create as little damage as possible. Local fire and health codes dictate if equipment such as griddles, ranges and fryers require a hood. These laws vary by county and are enforced by health and fire inspectors. We have had instances where the health department required a hood system for an electric counter top fryer, while a neighboring county did not. Because of this, we can not give you a definitive answer to this question. In some cases, it might depend on what you are cooking. If you are using an electric oven or griddle to cook greasy foods that will produce a lot of smoke, a hood may be needed. 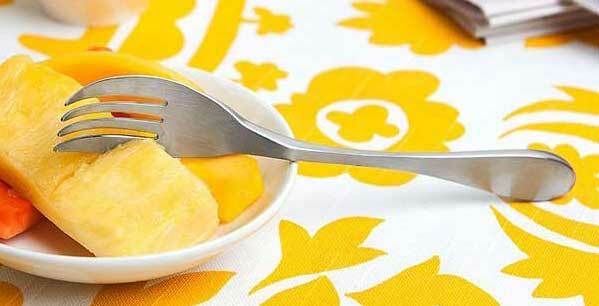 If you are using it for baked goods that will not produce much smoke, you may not need one. Many cafes, coffee shops, delis, and other similar places use electric sandwich grills, conveyor toasters, griddles and ovens to quickly cook a variety of foods without a hood. We always recommend that ask your inspectors before purchasing any equipment you are unsure about. We would be happy to provide you with any available spec sheets and informative material to bring along. If you’re looking to get a piece of equipment that requires a hood, but have no way to install a system, you may want to check out the Wells line of ventless cookers or ventless hoods. These units use an advanced air filtration system that is completely self-contained and can be easily moved from one location to another. They make it possible to cook in non traditional locations or when traditional hood and duct work are impractical, restricted or too expensive. If you’ve ever walked into the restroom at a restaurant and taken measures to avoid touching anything, especially the door knob, you’ve probably also wondered if the kitchen staff and chefs do the same. We really appreciated these hands-free door handles when we saw them at one of our local restaurants. They were not only in the bathroom, but on other doors that might be used by kitchen staff and cooks. 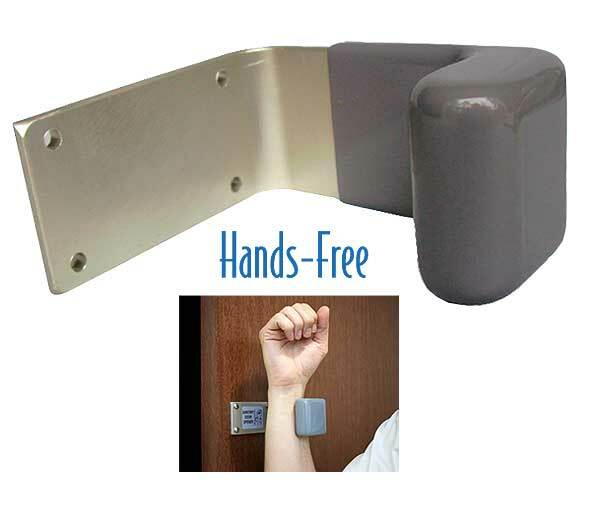 Not only do they make it easy for customers to avoid contact with sketchy doorknobs, they help avoid wasting paper towels for use on the door handle, and they provide a little peace of mind to customers who will feel assured that they are in a place that takes sanitation and cleanliness seriously. These simple pulls mount above the door handle, allowing you to safely pull open the door with your forearm. 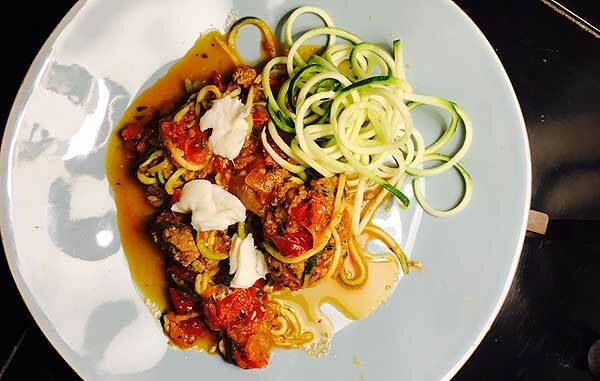 Zucchini noodles are a healthy, low carb (and gluten-free) alternative that can add some diversity to your menu. These tasty noodles are easy to make and can be used in many dishes, allowing your chef to get creative while pleasing customers that are craving healthy foods. 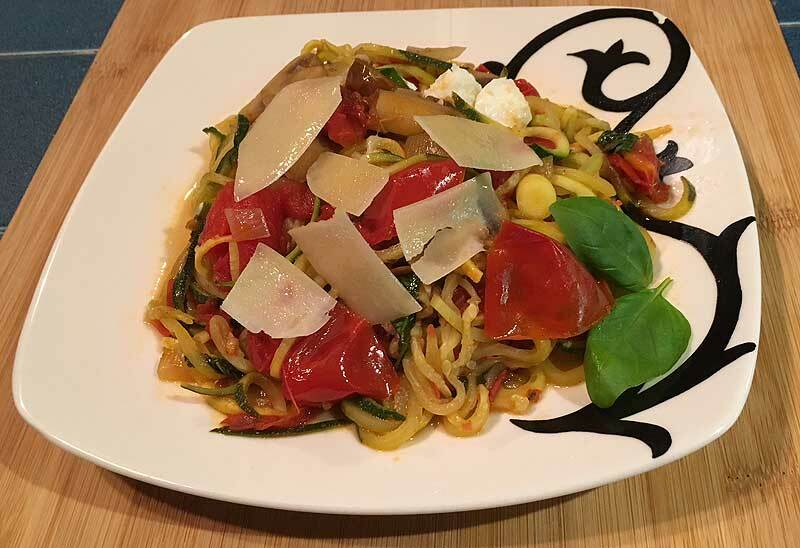 If you are an Italian restaurant, gluten-free pasta is one way to accommodate your customer requests, but to impress them even more, offer zucchini noodles or other squash noodles (yellow squash makes good squash spaghetti too). The zucchini noodles are great with a red sauce, and they can accompany meatballs, chicken parmesan, and other typical Italian dishes. Zucchini and squash noodles can also be served as cold, refreshing summer dishes with light citrus mint dressings or with olive oil sauces. We’ve seen them used as garnishes and in sides dishes too. 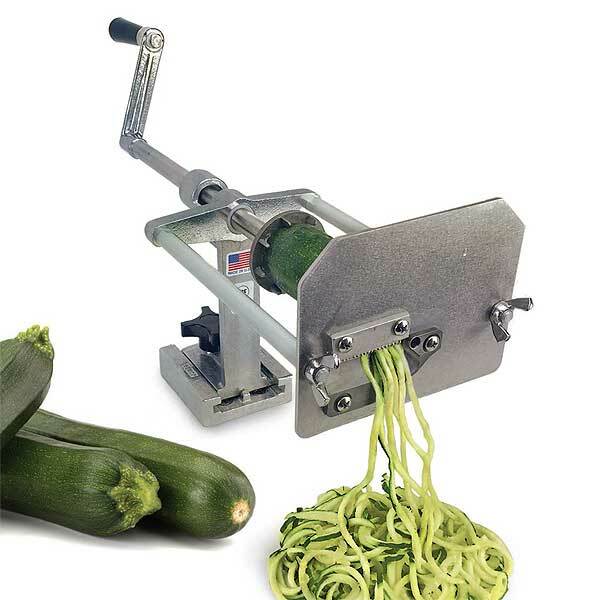 When preparing zucchini noodles, we find that cooking them in a sauce or sauteing them with olive oil until the desired noodle texture is reached is the best way to give the noodles flavor and cook them until a soft, noodle-like texture is reached. Arctic has solutions for Walk-In refrigeration for that range from typical walk-ins for foodservice and restaurants to customized display units with glass doors that add character to your space. Customized possibilities from Arctic include in-wall merchandising refrigerators for markets, humidity controlled meat aging and display refrigerators for the front-of-house of restaurants, and temperature-controlled wine storage and display walk-ins for restaurant or home use. They also have customizable large-scale refrigeration options for your home. If you are looking for something economical and quick, their quick-ship Blue-Line walk-ins may be your answer. The Blue-Line models are available as freezers or refrigerators in several standard sizes with remote or self-contained refrigeration. There are also models for outdoor use. These units are NSF approved for commercial kitchen use and have all the basic features you’d look for in a custom walk-in. The walls, ceilings and floors are constructed of energy-code compliant high-density foam. Units are standard with a light switch, dial thermometer, and vapor-proof door light centered over door. The Blue-Line walk-ins are shipped pre-configured in sizes ranging from 6 x 6 feet through 12 x 10 feet. For more info, take a look at the following link: Arctic Blue-Line Walk-Ins. 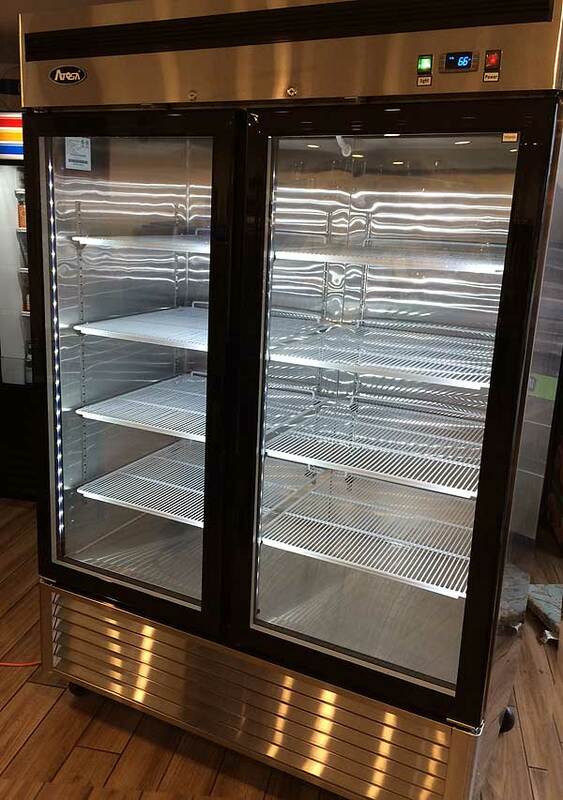 If you are looking to customize a walk-in, wine-storage unit, merchandiser, or even a refrigeration solution for your home, feel free to contact us and we’ll help you work with Arctic to meet your specifications and order your unit at a great price.